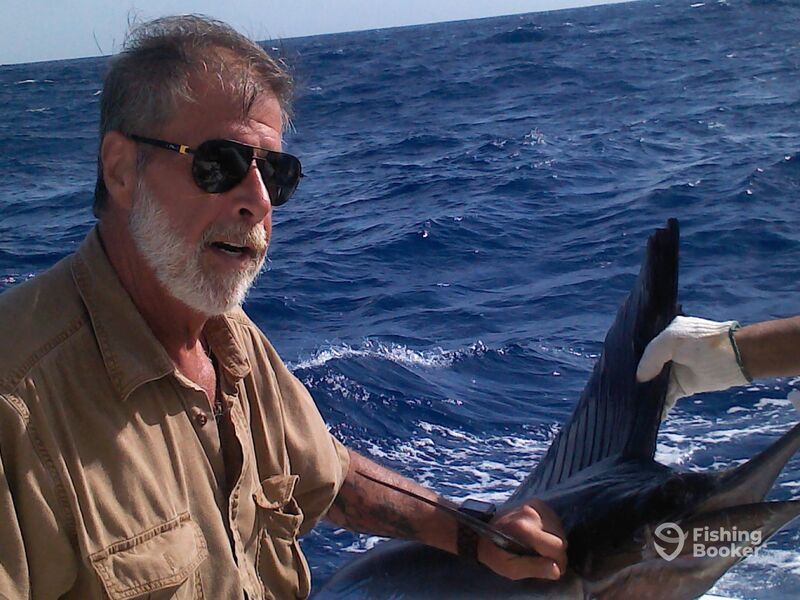 It was a windy day, nice shoppy seas, 4 anglers on board. By 8:30 am we had the baits in the water. 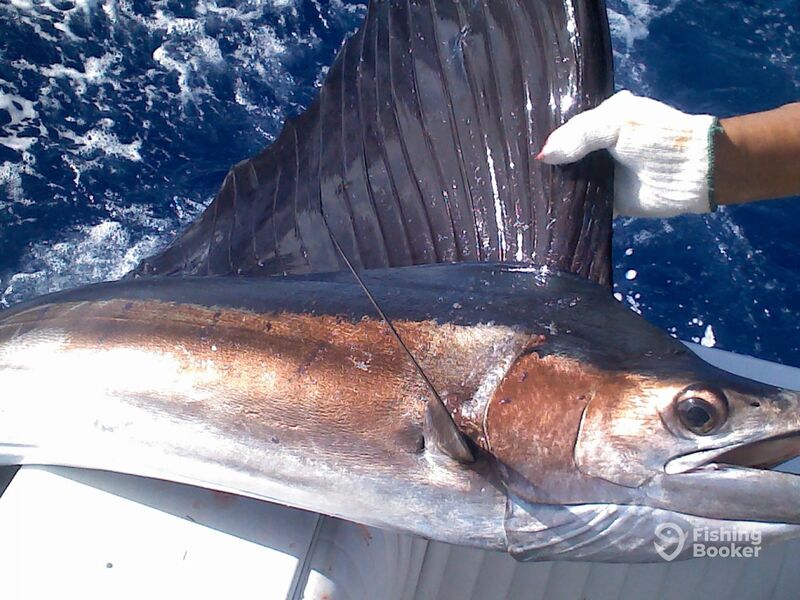 At 9:30 am we release a nice sailfish, see pictuer. Right after the release they decide to turn back. That was it.